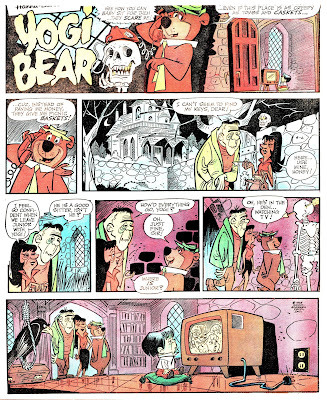 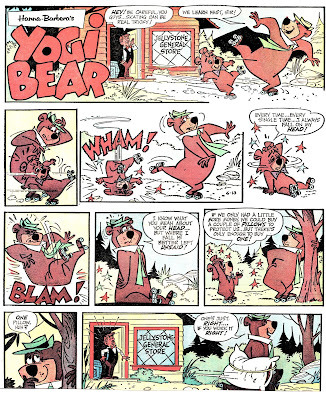 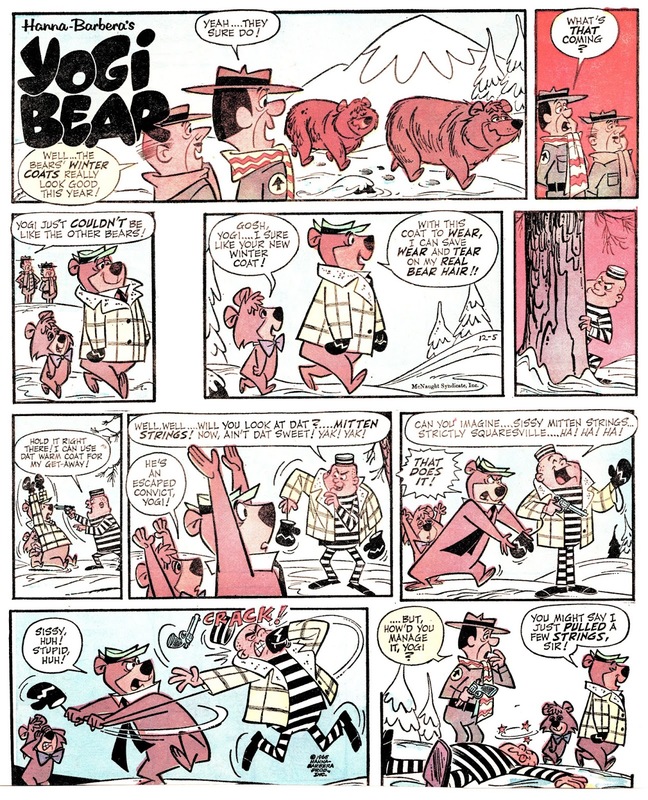 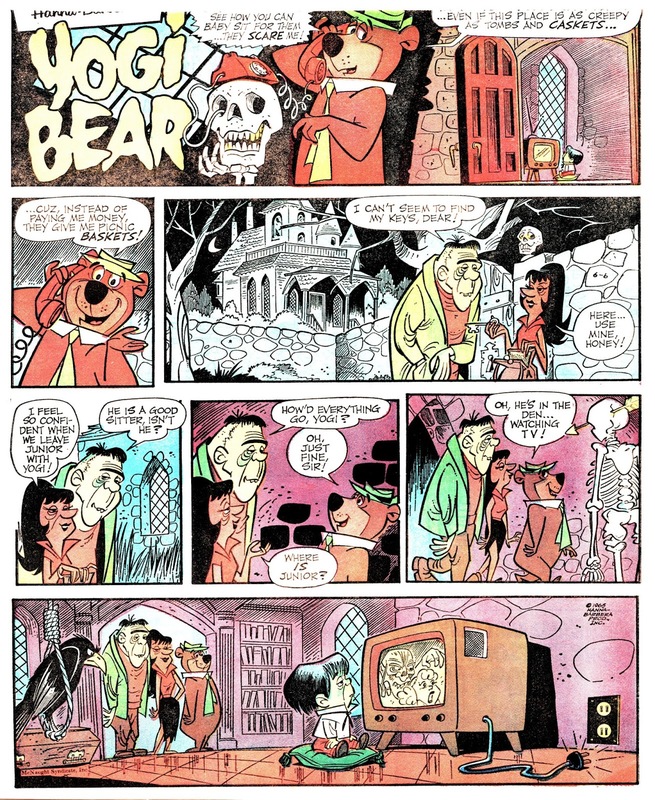 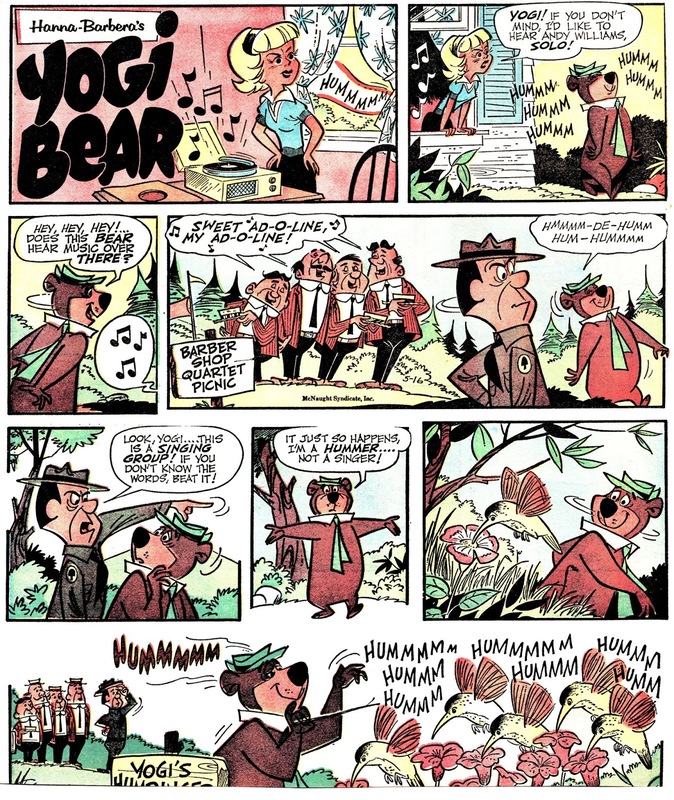 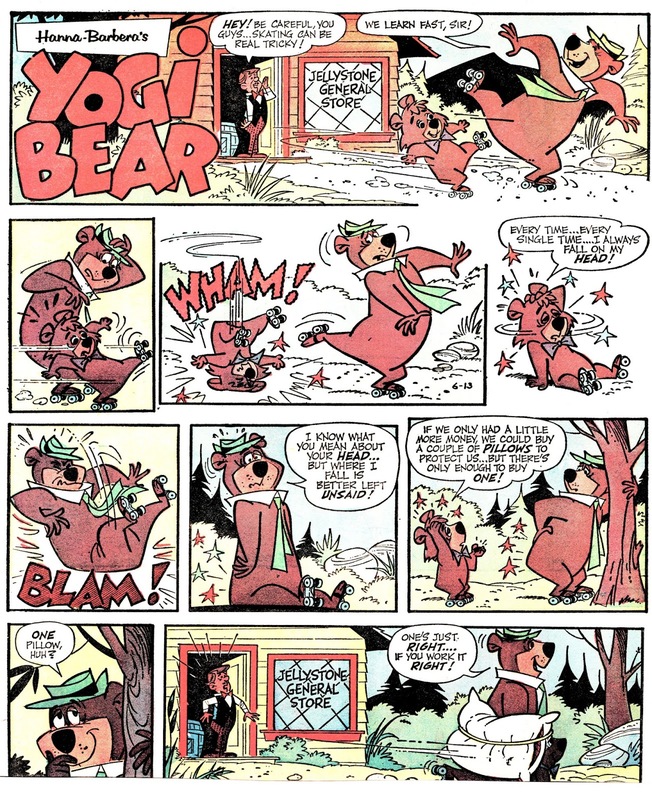 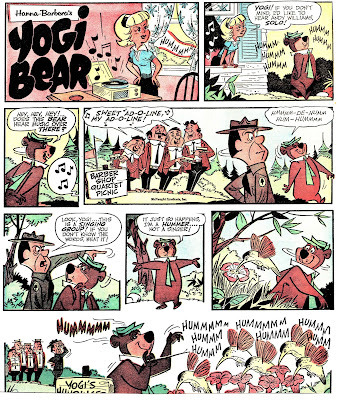 I have been scaning so many Yogi Bear Sundays, that I forgot that I haven't shown any for over a year now. So here, to make up for that, here is what I cleaned up so far. 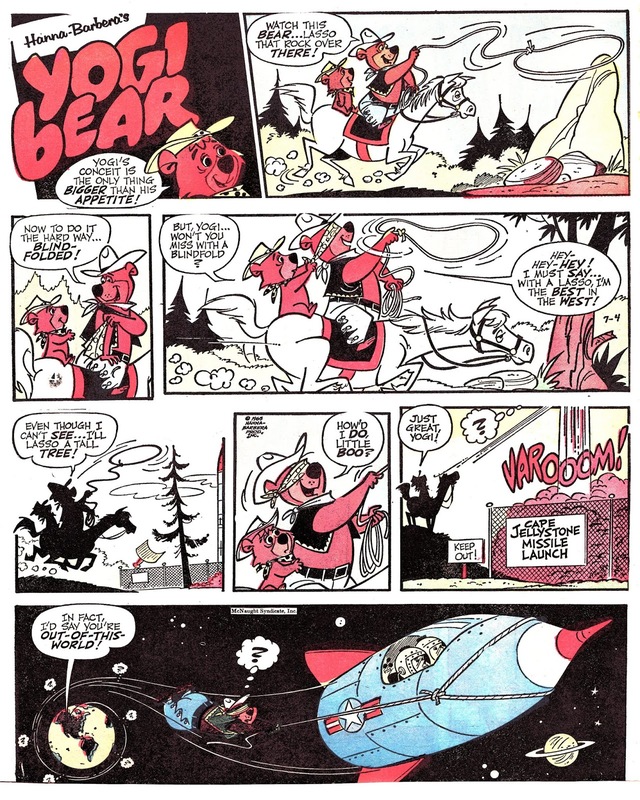 They look like the size of the old Dell Comic book one page stories. 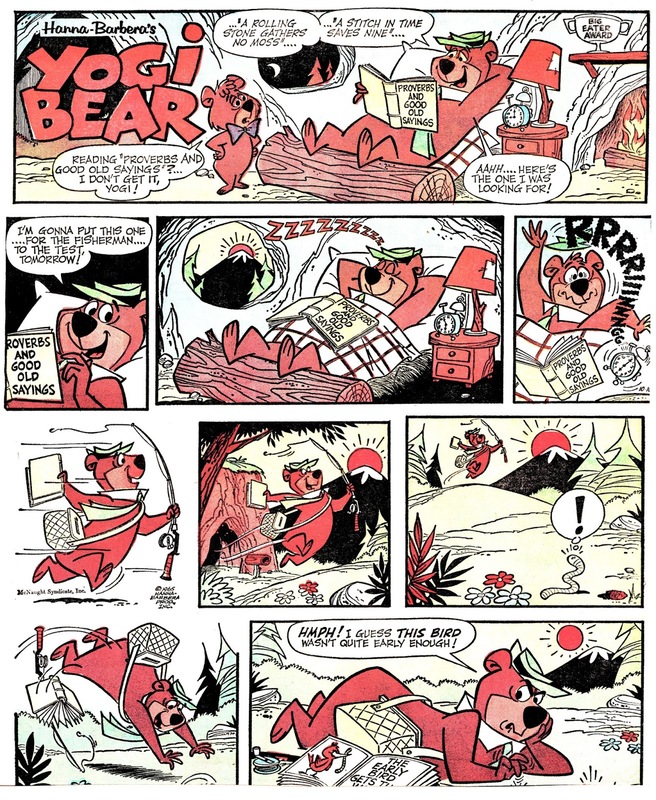 Those were found on the backs of the comics. 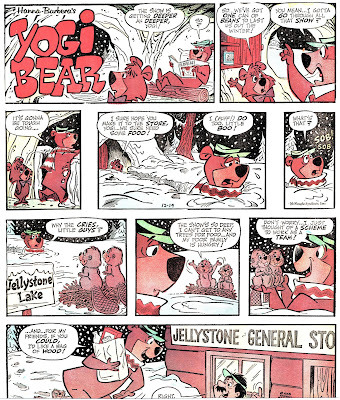 They were probably reused. 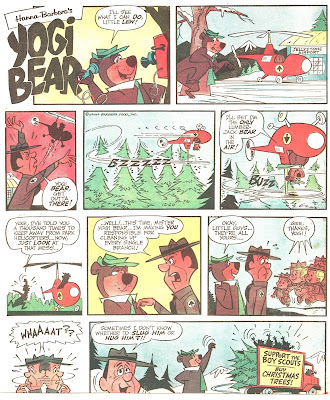 In Holland the youth magazine Taptoe used them on the back page. 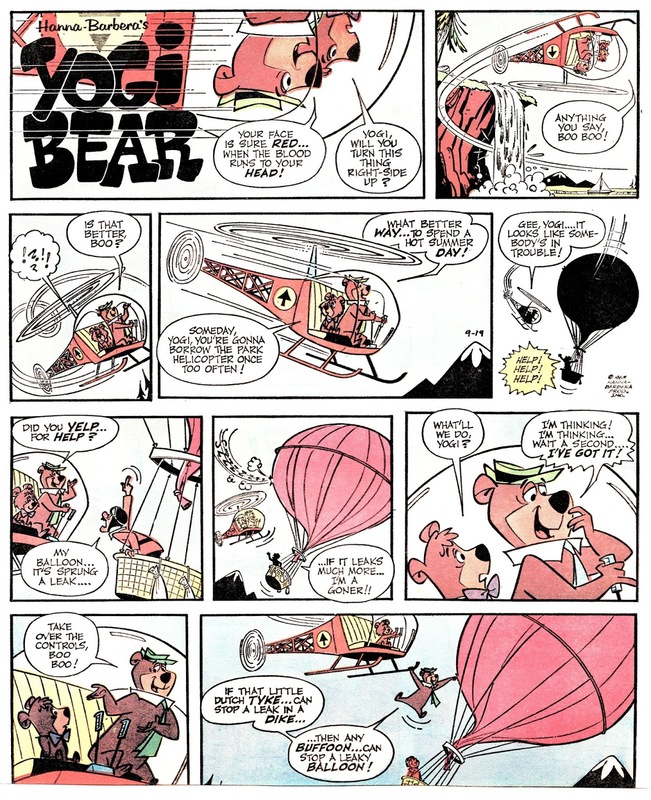 All these materials from 1965 to 1967 (drawn by Harvey & Jerry Eisenberg and Iwao Takamoto) are included in the Yowp-Yowp's blog (http://yowpyowp.blogspot.com). 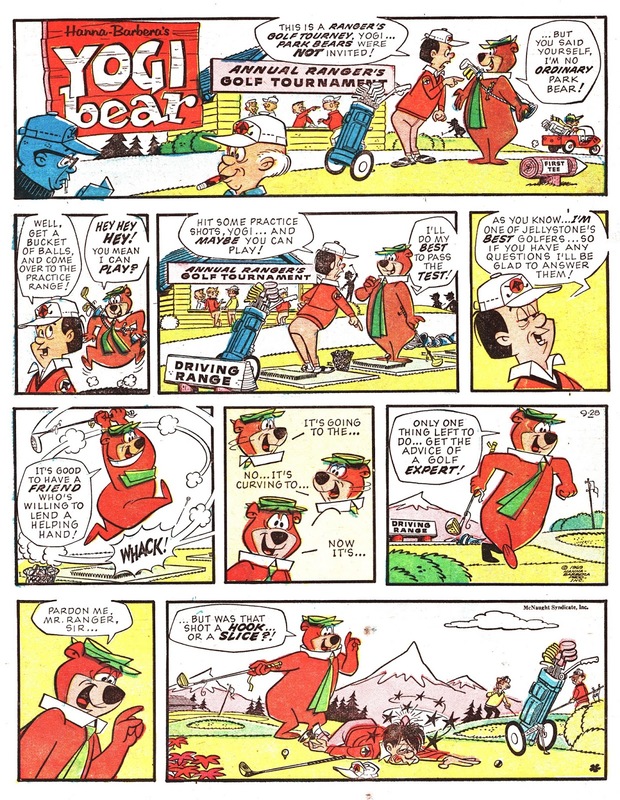 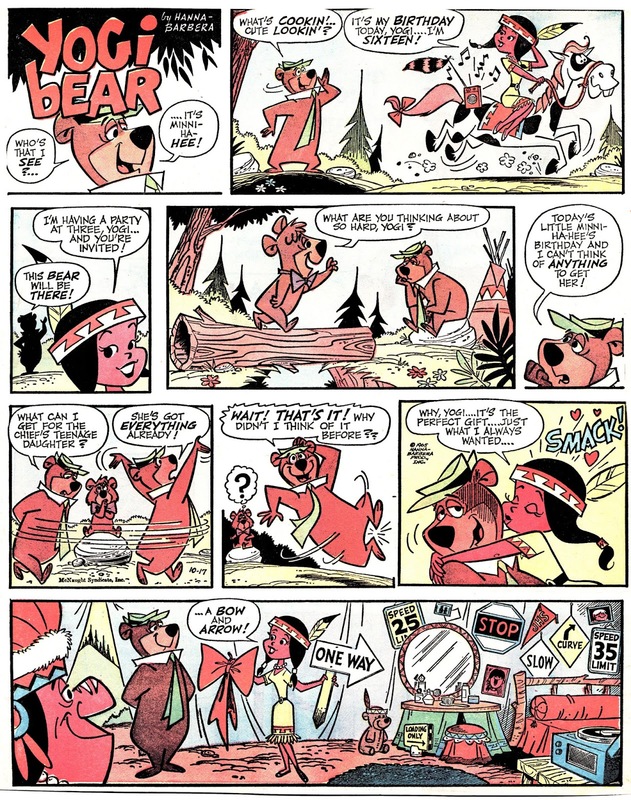 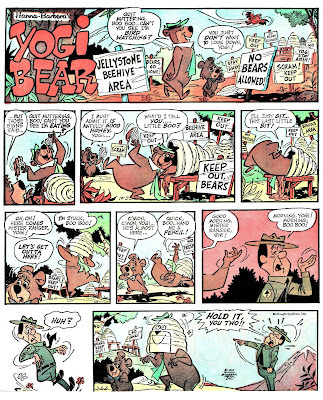 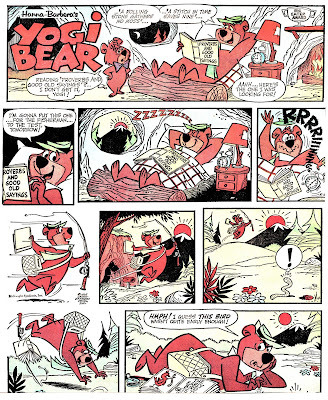 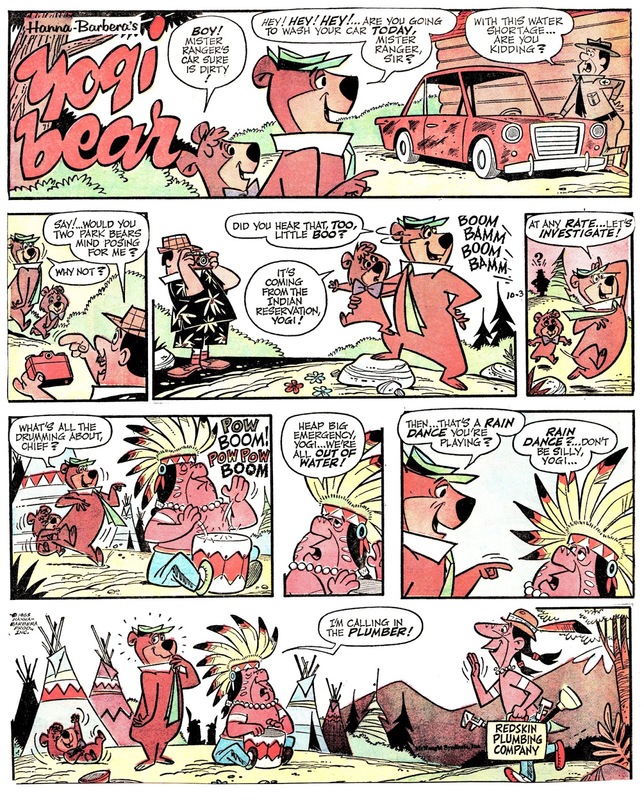 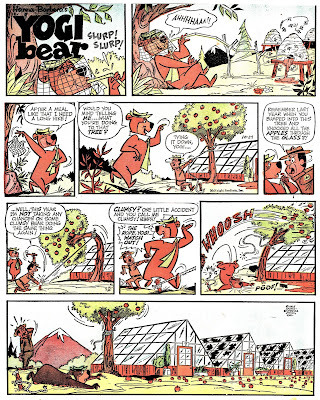 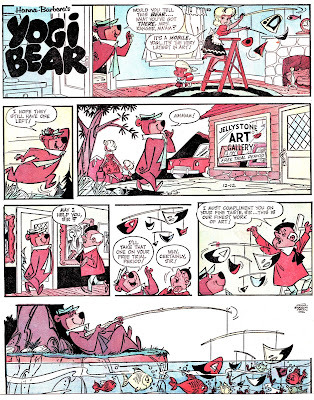 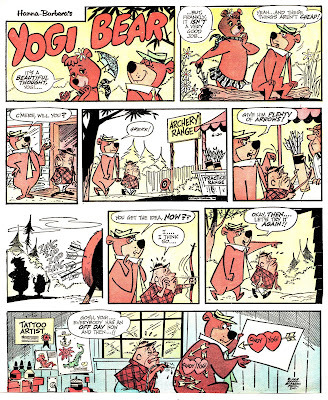 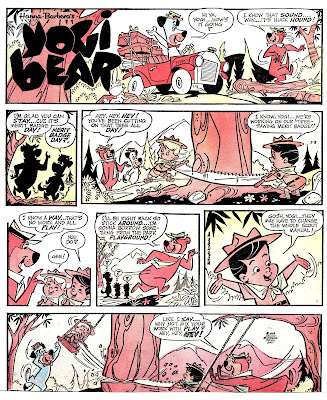 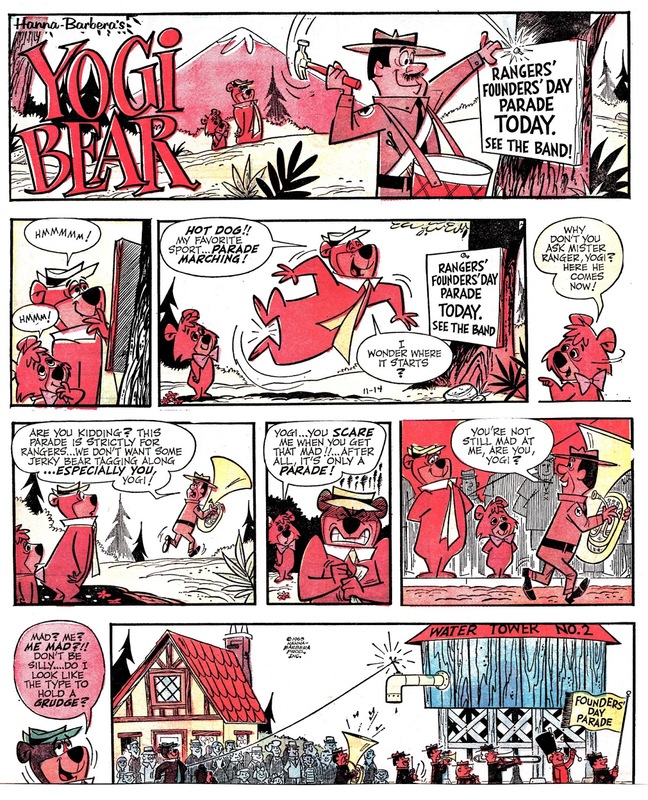 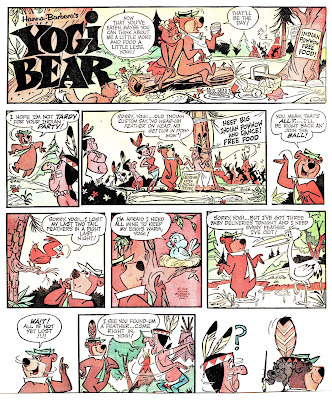 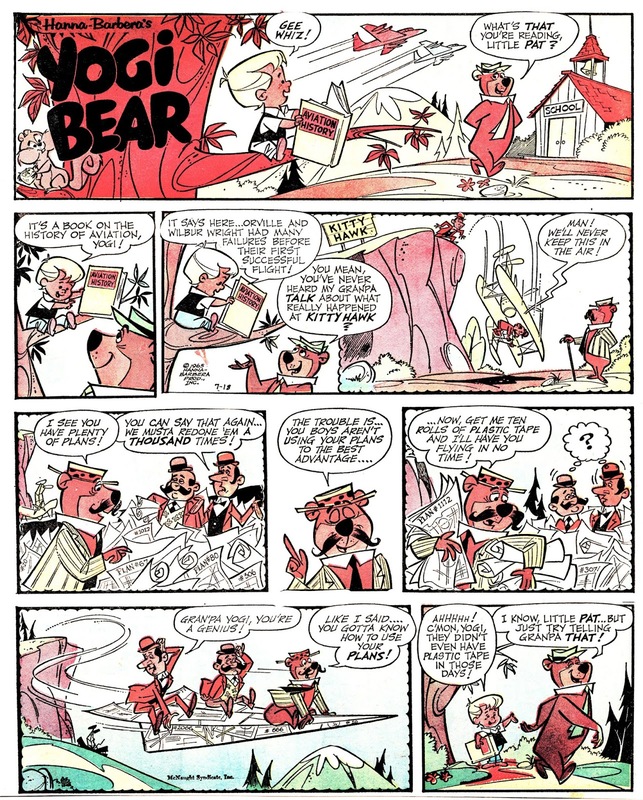 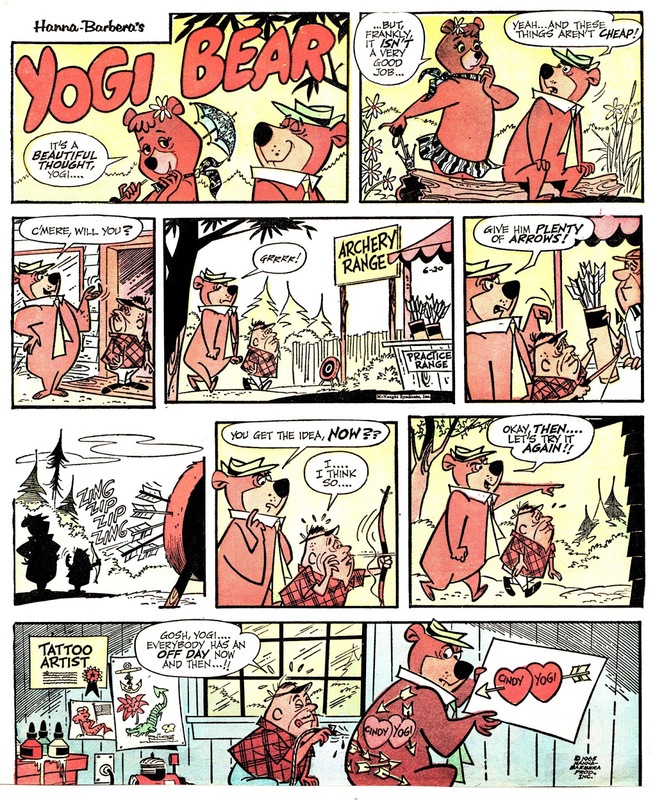 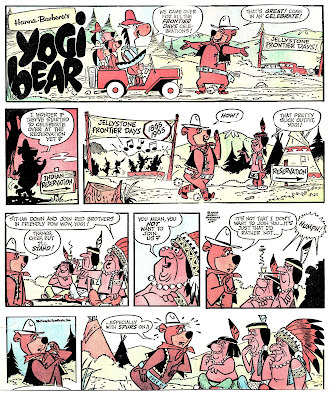 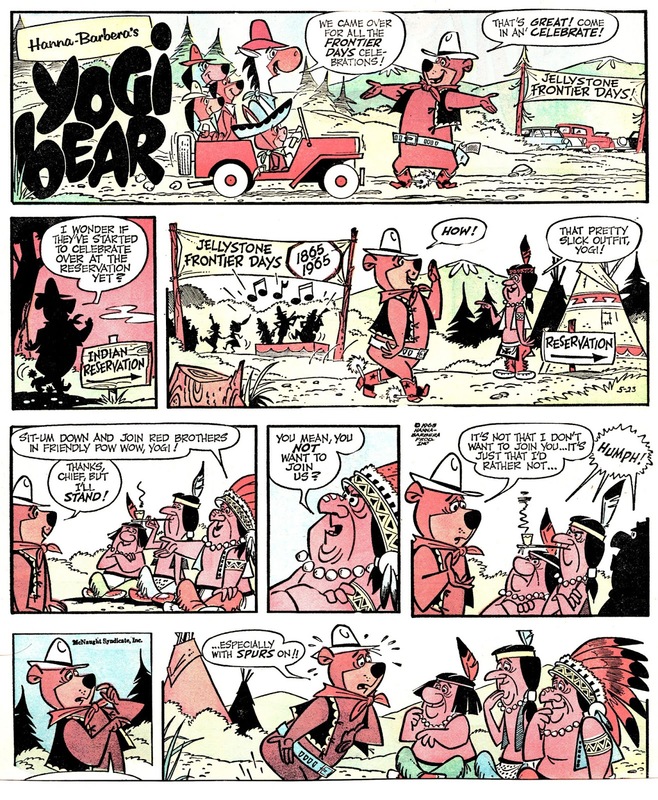 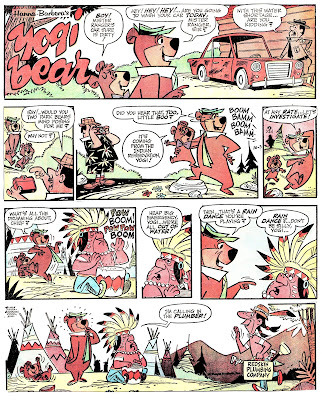 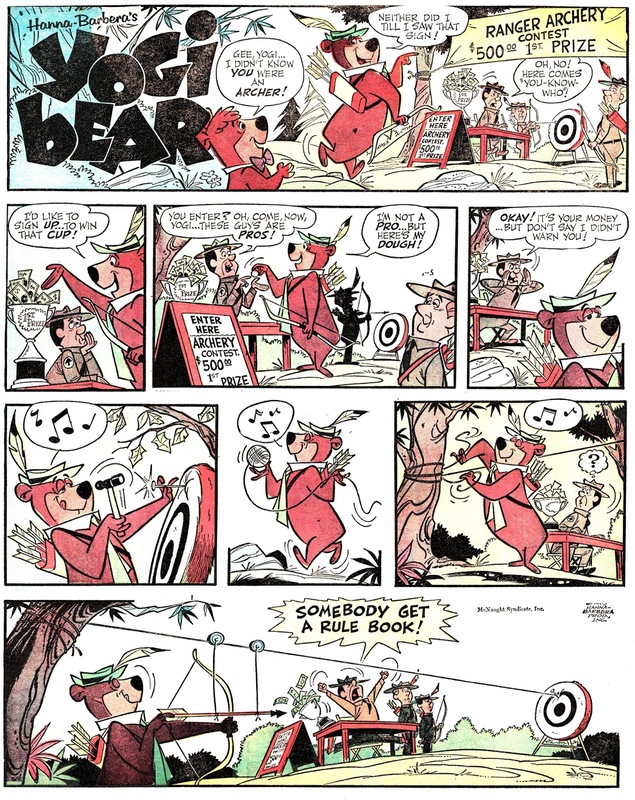 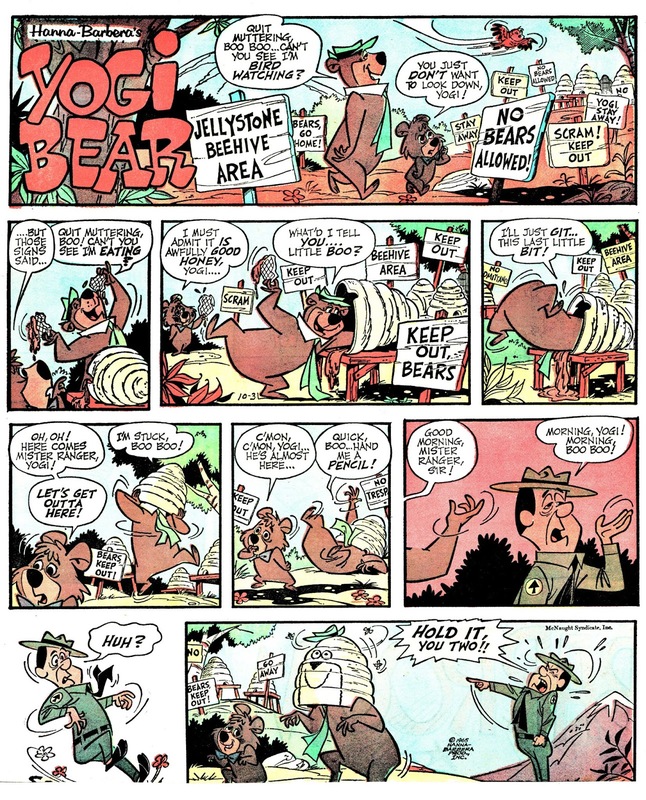 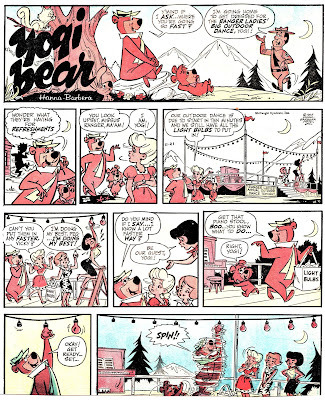 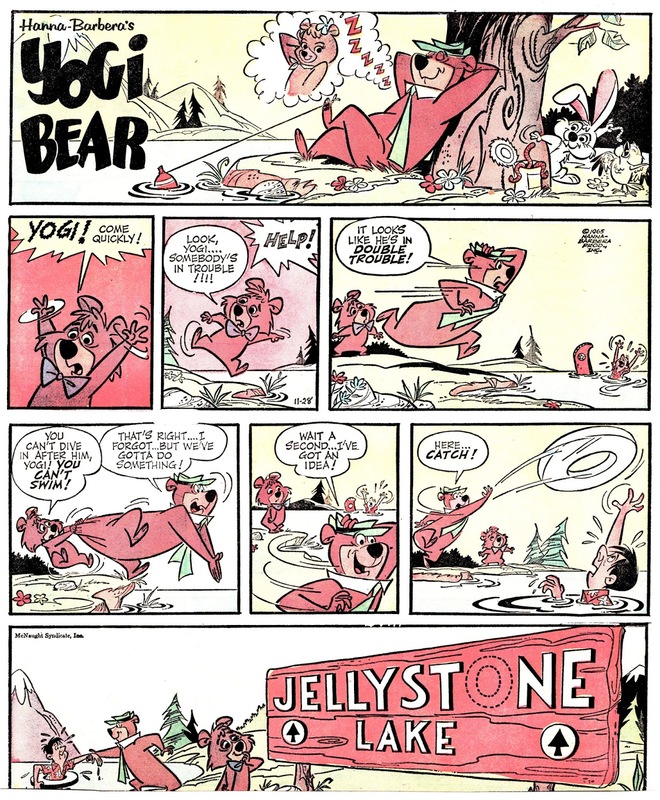 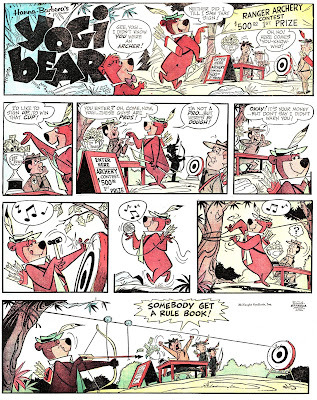 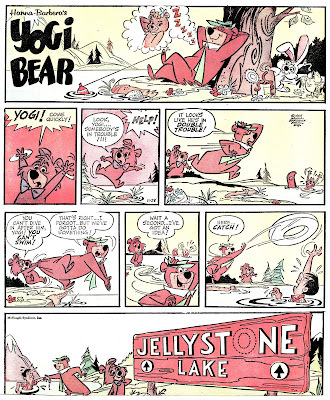 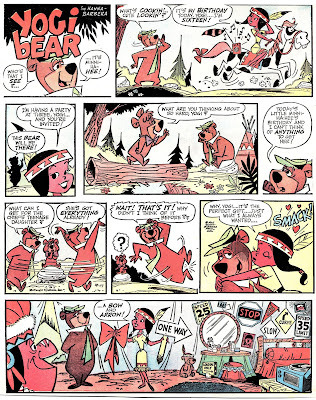 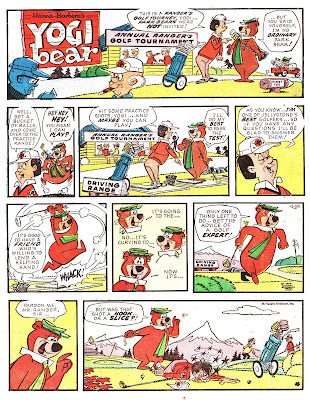 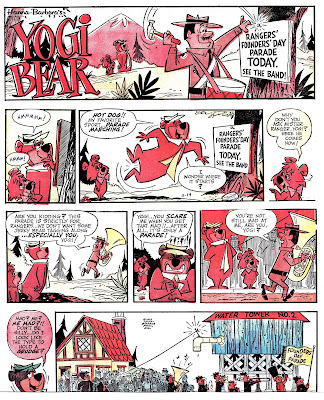 The only exception is a Yogi Bear Sunday page from 1969 (involving golf), drawn by Gene Hazelton. 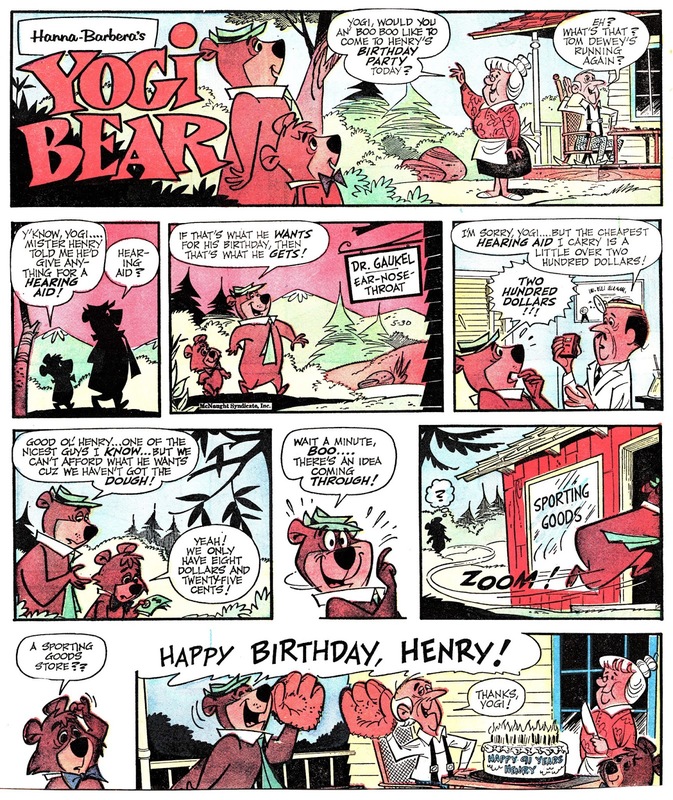 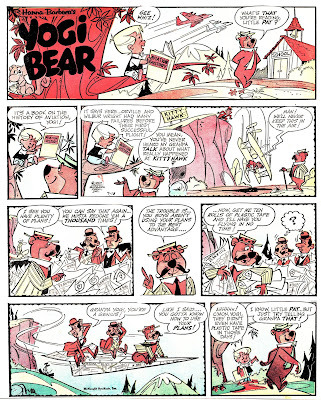 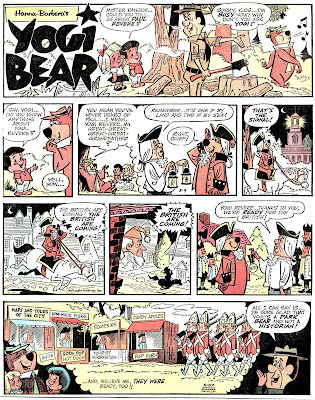 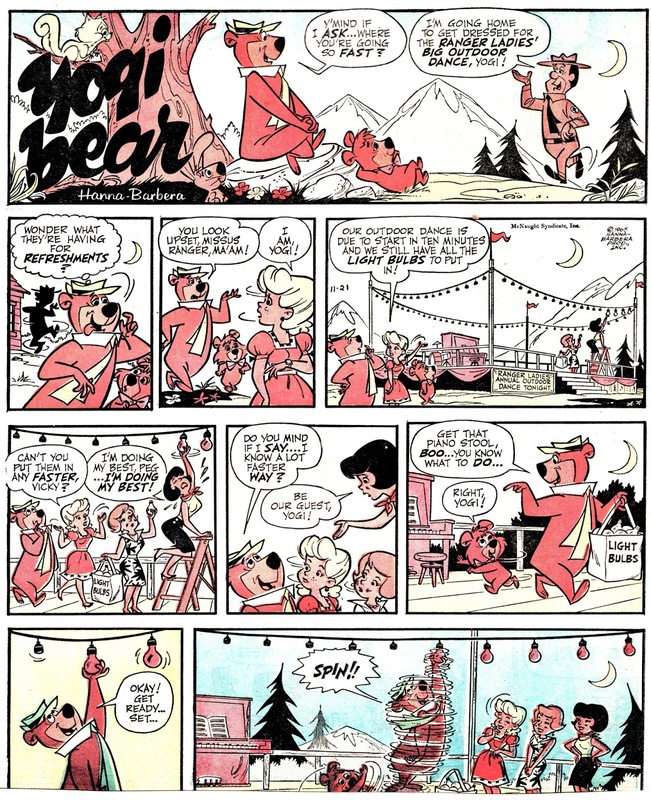 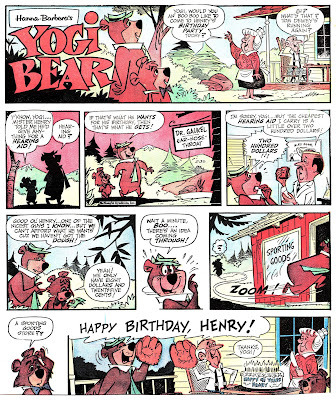 Also includes two Yogi Bear Sunday pages (from 1963 and 1964), both drawn by the legendary Harvey Eisenberg (the "Carl Barks from Hanna-Barbera), which also are included in the Yowp-Yowp's blog.